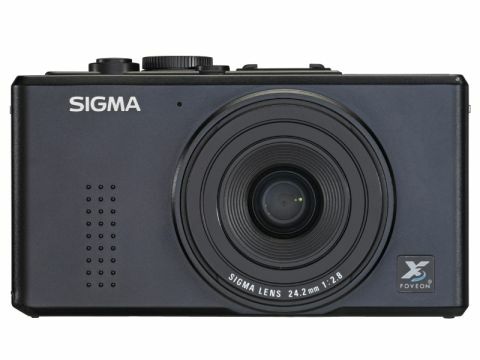 The new Sigma DP2 uses Sigma's Foveon X3 sensor, a unique triple-layer design where red, green and blue pixels are arranged in a vertical stack and each pixel in the final image has full colour information from the start. As a result, the pixel-level definition is genuinely startling. But Sigma has a problem. The DP2 produces files of only 4.7MP, which sound tiny by today's standards. Sigma points out that the total pixel count is actually 14.1MP which is true – it has as many red, green and blue photosites as a conventional 14MP sensor. Its output files, though, aren't the same size. But does it matter? You can blow the DP2's super-sharp images up far further than you could with any conventional sensor of the same resolution. Or you could use interpolation to 'inflate' those 4.7MP files to 12-14 million pixels, and find that the fine detail isn't really so very different to that of a conventional DSLR. The DP2 can shoot JPEGs, but it really comes alive when you shoot RAW and use the dedicated Sigma Photo Pro software supplied with the camera. At low ISOs images are essentially noiseless, but at higher ISOs the quality does deteriorate faster than you'd expect with a conventional sensor. The DP2 goes right up to ISO 3200, but by this point the image quality is pretty terrible and really you probably wouldn't want to go beyond ISO 800. The DP2's design is straightforward, with a plain rectangular design and the minimum of external controls, all of which have a really firm, high-quality feel. These include the excellent mode dial (which is too stiff to turn by accident) and the manual focus wheel at the back of the top plate. Most routine adjustments are carried out with two quick function screens. You press the button on the back of the camera once to access the first screen (ISO, flash, metering pattern, white balance) and again to access the second (quality, file type, drive mode, picture style). It's very fast, and very effective. The autofocus system is rather less impressive. It's not that quick, and it's pretty noisy, too. The manual focus dial makes up for it, though. It's quick to use and the distance markings are clear. The DP2's buffer is large enough to take three RAW files or four JPEGs, but after that you have to wait several seconds for the memory to clear. This is a bit of an issue because if you're taking lots of pictures the camera will sometimes not be ready right at the moment you need to grab the shot. Incidentally, the 'old' DP1 carries on. That camera has a 28mm equivalent lens as opposed to the DP2's 41mm equivalent. It's not a question of which camera is newer, but which has the focal length that you need.